Cheniere Energy, a U.S. exporter of liquefied natural gas (LNG), has fired its CEO, apparently because of his plans for aggressive expansion, but is still interested in taking a minority share in a new LNG terminal in Greece that would supply gas to southeastern Europe and perhaps even gas-hungry Ukraine. The company’s board of directors fired Charif Souki during a meeting at its Houston headquarters during the weekend of Dec. 12-13, evidently at the behest of activist investor Carl Icahn, who holds a 14 percent stake in Cheniere and personally picked two of the company’s directors. 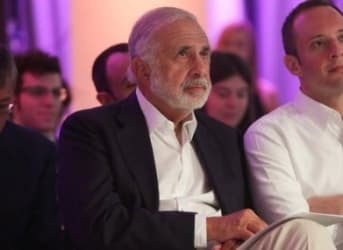 Icahn praised Souki in a statement after the meeting, calling him a “talented entrepreneur,” but added that his view of Cheniere’s direction was at odds with the company's best interests. For his part, Souki said he was eager to expand operations, while the board “felt it was more prudent to slow down” as the global LNG market is now faced with a glut. Souki said he wanted to double the number of Cheniere’s LNG processing plants at Corpus Christi and Sabine Pass on Texas’ Gulf coast from seven to 14. That evidently won’t happen. Instead the company has a more modest expansion plan, which includes buying into an offshore LNG terminal that the Greek energy firm Copelouzos is planning near the city of Alexandroupolis in northeastern Greece. Related: OPEC Members In Jeopardy, How Long Can They Hold Out? 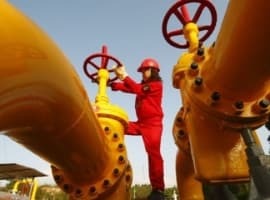 This terminal, which will have an estimated capacity of handling 6.1 billion cubic meters of gas per year, would be used to supply gas from Azerbaijan to the Balkan Peninsula using a pipeline, still to be built, called the Interconnector Greece-Bulgaria. Greece and Bulgaria agreed to build the conduit, which was designed to reduce the region’s current reliance of gas from Russia. Jean Abiteboul, Cheniere’s senior vice president for marketing, said Wedndesday in Athens that the American company would be glad to play a role in diversifying South-Eastern Europe’s supply of fuel. “Not only your country [Greece] but the region is highly dependent on one supplier, which is a Russian supplier, Gazprom,” he told Greek reporters. The Cheniere executive, who met Tuesday with Greek Energy Minister Panos Skourletis. said his company and Copelouzos were negotiating about Cheniere’s possible investment in the Alexandroupolis terminal. 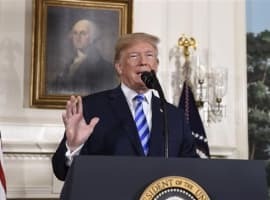 But he stressed that the talks had just begun and that no details, including the size of Cheniere’s possible stake in the facility, had been decided. Ukraine traditionally has got virtually all its gas from Russia, but has faced cutoffs of the fuel because of lingering political and pricing disputes between Kiev and Moscow. These disputes have temporarily interrupted the westward flow of gas from Russia four times – in 2006, 2009, 2014 and this past summer. But earlier this year Ukraine began diversifying its own source of gas by importing more of its fuel supply from European Union countries via Slovakia.